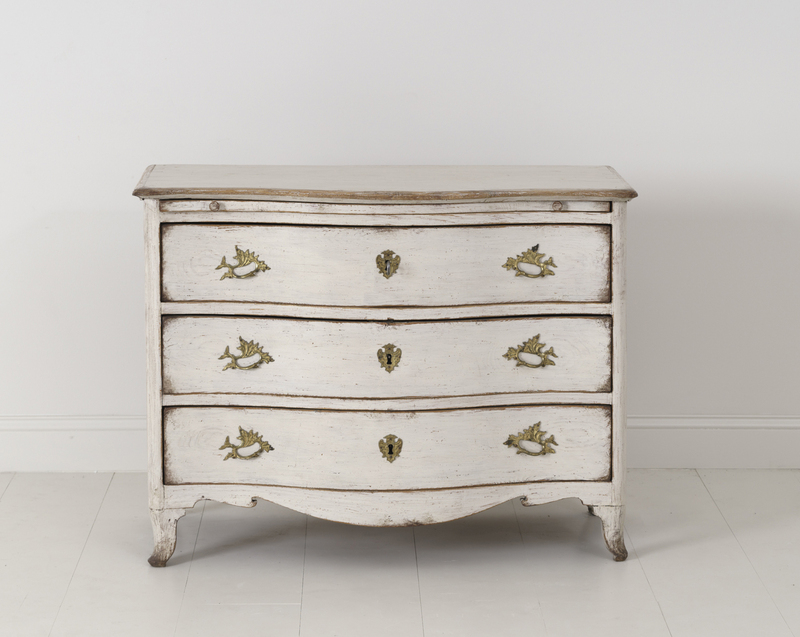 18th Century Swedish Rococo Serpentine Front Commode with Gilt Bronze Hardware | Maison & Co.
Swedish period Rococo elm wood commode, circa 1760 with original gilt bronze hardware, serpentine front, shaped top, and scalloped apron. 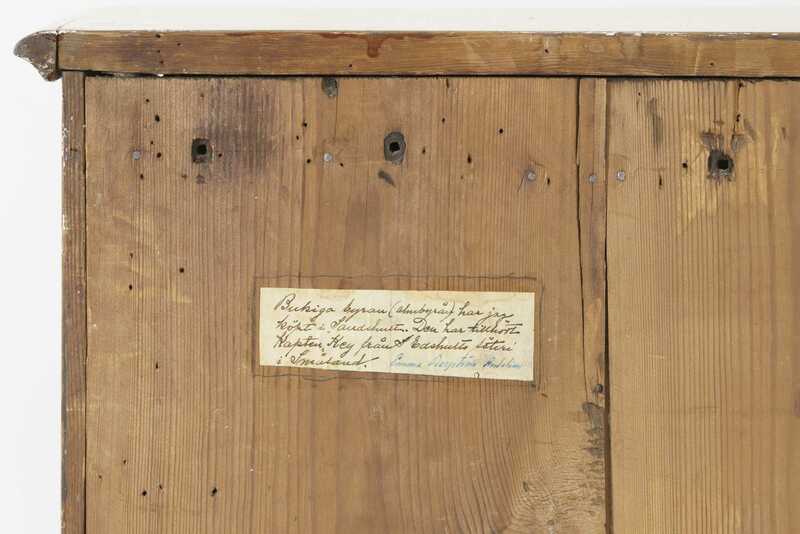 There is a pull-out tray above three spacious drawers. 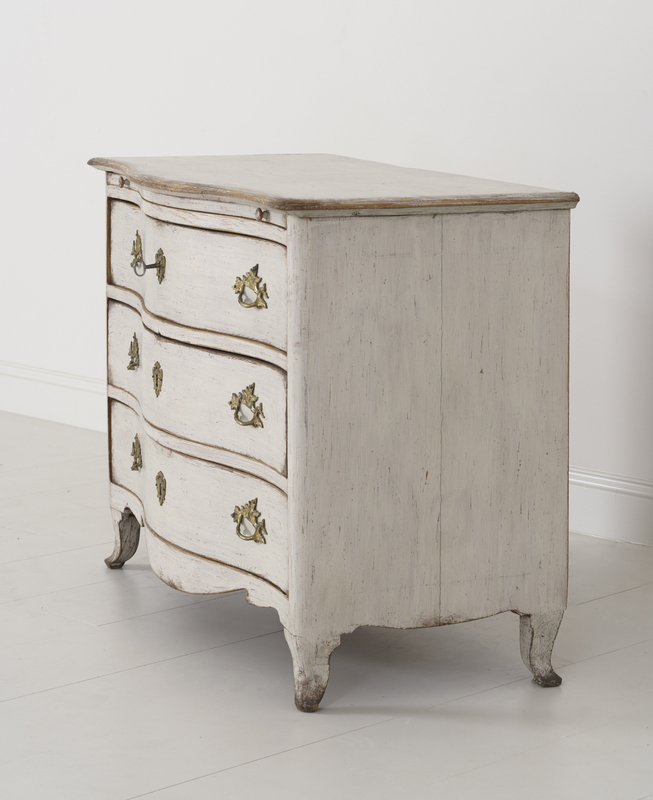 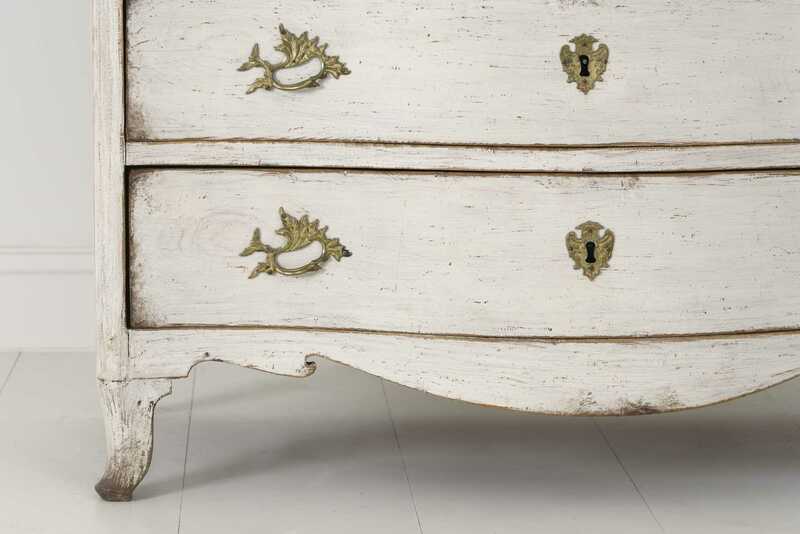 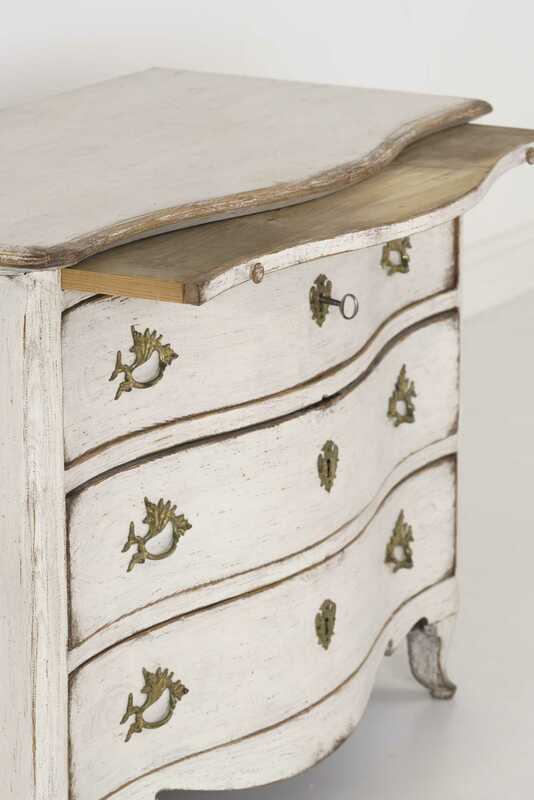 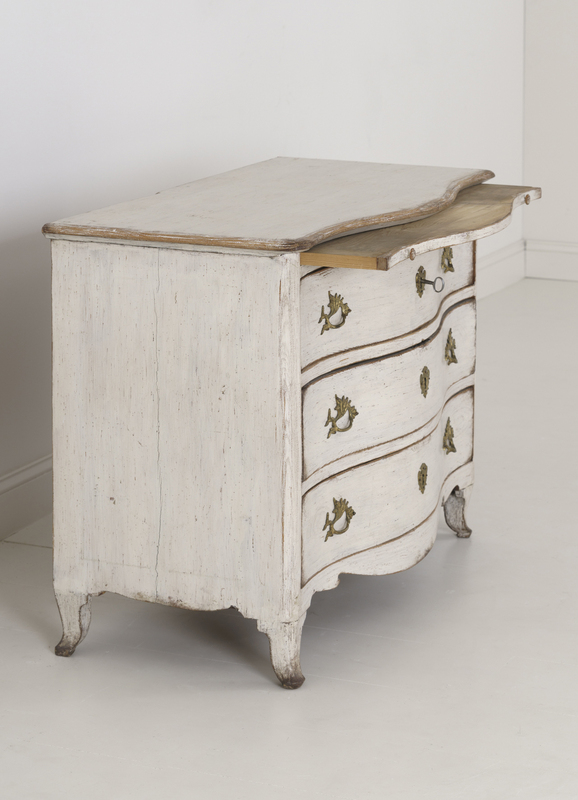 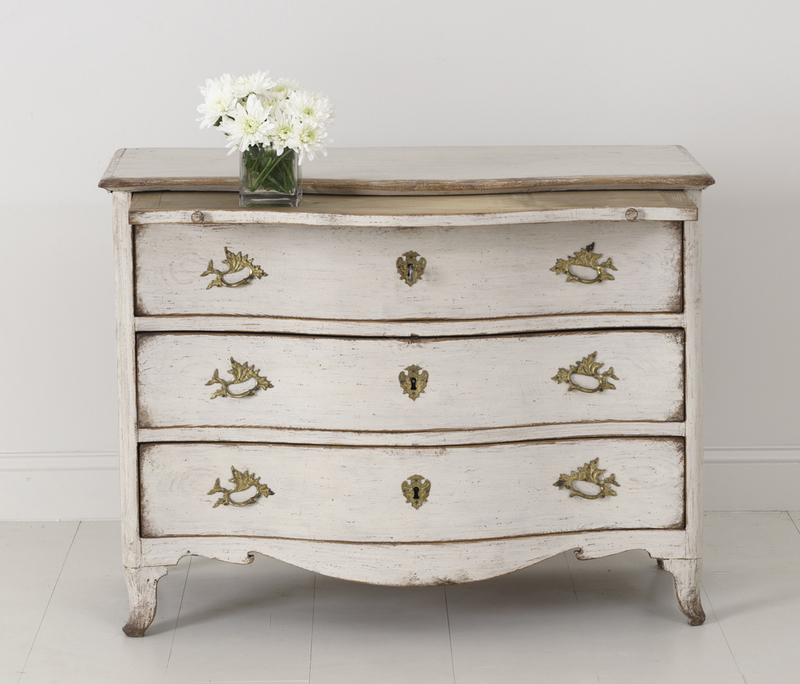 The patina is a combination of soft ivory paint with natural wood showing through in areas. 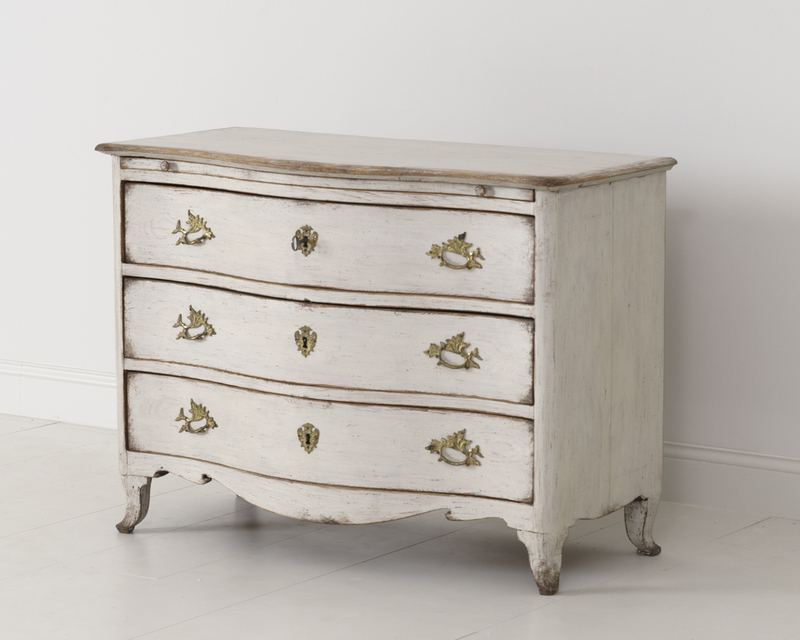 A personal note is attached to the back of the commode stating, "I have bought this Rococo commode (in elm tree) in Sandeshult. 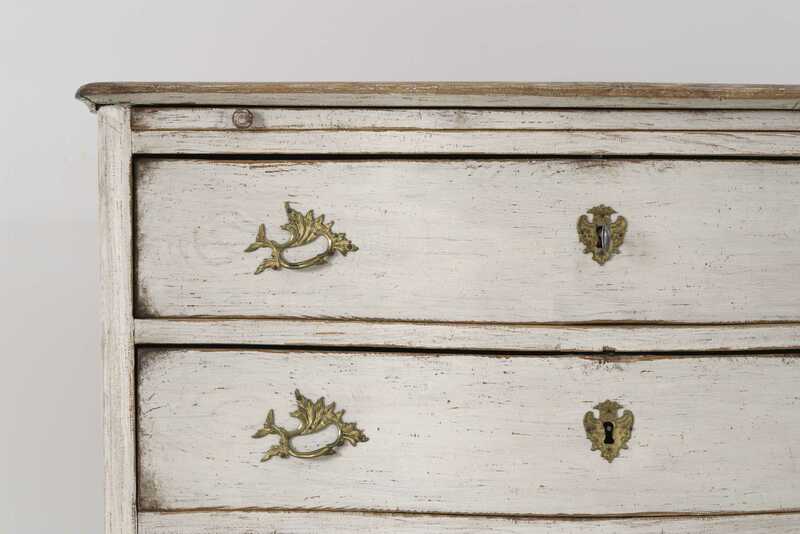 It belonged to Captain Key from Edshults Manor in Småland. 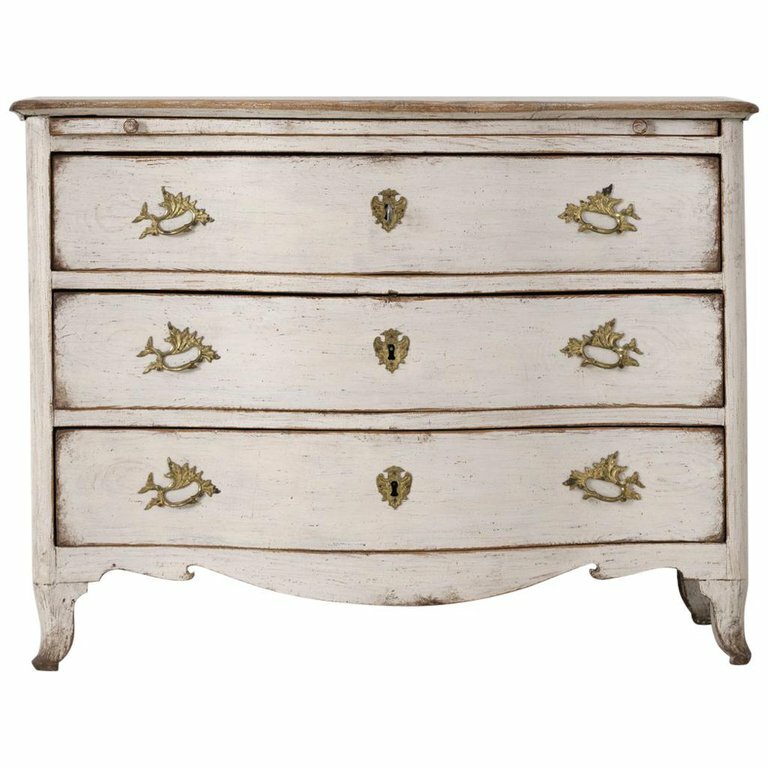 Emma Bergström Andelius."